One the biggest frustrations I see today is the confusion that exists amongst business people who don’t know where to focus their marketing efforts for the best return. They don’t know who to turn to or who to trust that has the all round experience to help them achieve a positive result. I provide clarity through experience. You see, I am passionate about ‘joined up marketing’, combining traditional and digital marketing skills with great design that gets people noticed… in an increasingly crowded market place. 40 Years ago I graduated from what is now UWE in Bristol after studying graphic design for three years. I starting my own traditional advertising and marketing business and as the world discovered internet marketing, my business developed at the leading edge of technology, winning many awards, including an Entrepreneur of the Year. As the world embraced digital methodology, so did I. 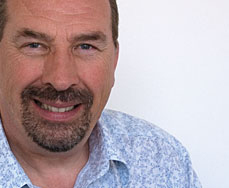 You might describe me as an experienced, knowledgeable and connected marketing professional. 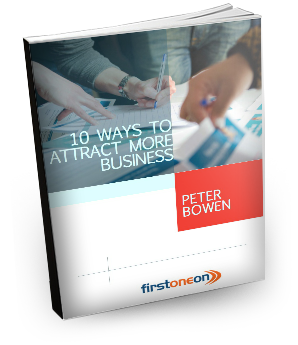 I believe the obvious is often overlooked and I’ve listed 10 key elements of attracting more customers that are so easily overlooked.